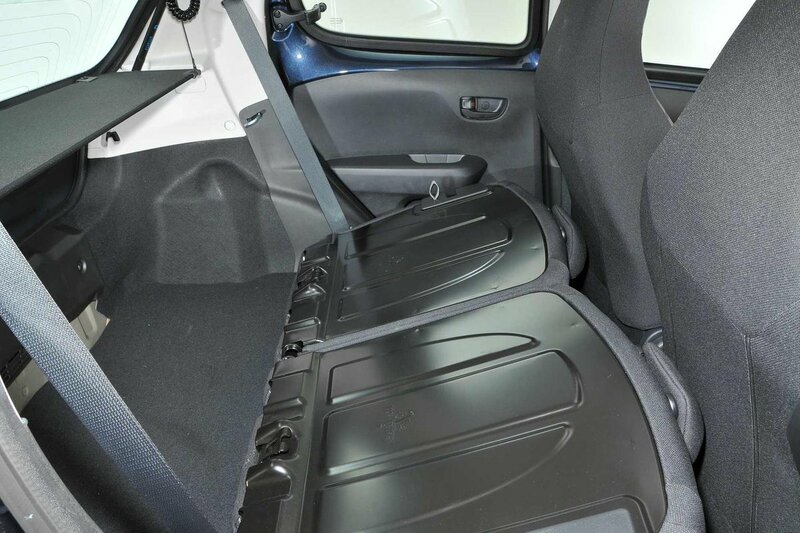 Peugeot 108 Boot Space, Size, Seats | What Car? 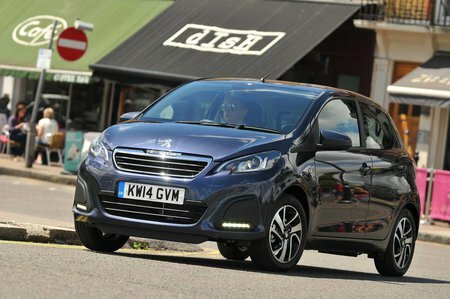 The 108 is spacious enough in the front for two adults to sit comfortably, with plenty of head-, leg- and shoulder-room. 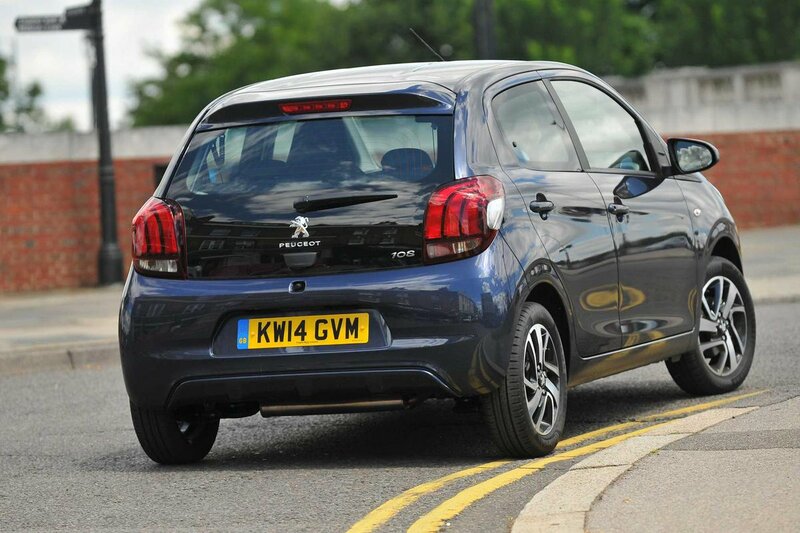 It’s about comparable with class-leading city cars such as the Volkswagen Up in this respect. The driver and front passenger each get a nicely proportioned door pocket and directly in front of the gearlever is a large cubbyhole with two cupholders. The 108’s glovebox is a relatively good size given the compact dimensions of the car. You can certainly fit more than just the owner’s manual inside. Very few city cars manage to make their rear cabins feel comfortable for adults and the 108 falls down here, too. Access to the rear seats is also quite tight, and adults will find their knees rubbing against the front seats and their heads brushing the ceiling. Shoulder room isn’t great, either, and the supplied armrests are a little short. The two rear passengers get a pocket each, but these are smaller than the ones in the front. There are no handy pockets on the backs of the front seats. A Hyundai i10, Volkswagen Up or Skoda Citigo will certainly be better for those needing to carry four on a regular basis. Should you need more space than the boot alone can offer, the 108’s rear seats split 50/50 and fold down almost flat to open up the cabin. The seat backs aren’t particularly substantial, so are light and easy to fold down. Unfortunately, there isn’t the option to add a folding front seat, which makes sliding in very long items impossible. At least the front seats return to their original position after being slid forwards to allow people to clamber into the rear seats of three-door models. Boot capacity is 180 litres with the seats in place. That’s enough for a modest amount of shopping, but it’s still some way short of the class leaders, while there’s a big drop from the load lip to the narrow boot floor. Once the rear seats are folded, they also leave a large step up in the load bay, which can make sliding in longer items trickier than it ought to be. In comparison with other city cars, the 108’s boot space looks a little stingy. A Volkswagen Up for instance offers a larger 251-litre boot, and the Hyundai i10’s is a litre larger again.